All mothers will know that it can be extremely hard to get your body back into the same shape as it used to be before you had kids. Being pregnant, giving birth, and breast-feeding all attribute to the massive changes our bodies go through after having a baby. To be honest we shouldn’t expect our bodies to be exactly the same as they were before kids, that’s probably adding unrealistic expectations and pressure to our lives that we just don’t need. As a mum myself, I definitely have more curves than I did before, and I try to embrace them as much as I can, but it’s the new curves that are in the wrong places, that most mums find harder to accept. Sure, exercise and a good diet are key to looking good and feeling great, but sometimes it’s just not enough, and no matter how much hard work you put in you just cannot budge those stubborn bulges. When it comes to getting your curves back in the right places Dr Meaghan Heckenberg is the doctor everyone is talking about. Dr Meaghan uses liposculpture to remove stubborn bulges of fat and reduce bulkiness in certain areas to create a more youthful body shape. Liposculpture is among the most popular treatments for mothers to help sculpt their bodies, and get the curves they desire back. Liposculpture is not for the overweight, and it’s not even about weight loss, it’s for people with a healthy body weight who have stubborn bulges of fat that they just can’t budge no matter how much they diet or exercise. Liposculpture is such a popular option for mothers because results are permanent and it involves very minimal downtime, and downtime is definitely something that most mothers just cannot afford to have. Dr Meaghan is renowned within the industry, she is a master at shaping the body with the most natural looking result. For her patients results are life changing, liposculpture often dramatically boosts their body confidence. Liposculpture is a more modern version of liposuction, it’s refined, it’s gentler and it’s all performed under a local anaesthetic while you are awake. There is no severe pain and there is minimal discomfort. Fat is removed using tiny 2 mm cannulas which leave very minimal scarring and no visible sign of having anything done. 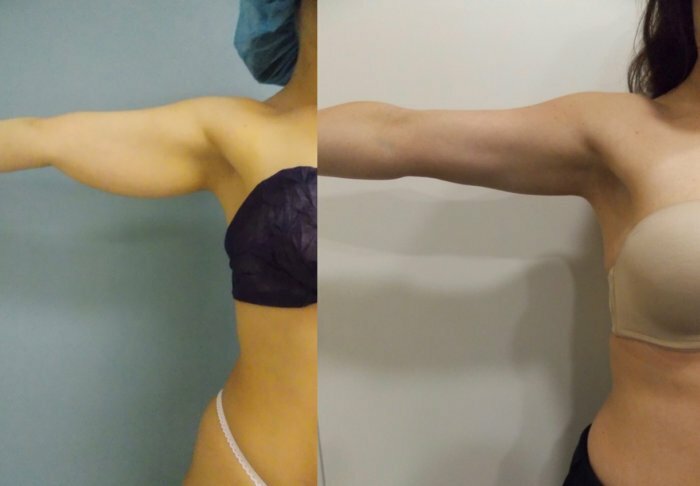 The most popular areas Dr Meaghan treats are the waistline, hips, arms, buttocks and thighs and the procedure offers really amazing, permanent results. Above: My Before (above) and After (below) from Liposculpture to my waist, hips and abdomen by Dr Meaghan. I am so thrilled with the result! My body confidence has dramatically improved and I can now wear clothes I only ever dreamed of wearing before! A commonly asked question is “does the fat come back?”, and the answer is absolutely not, results are permanent. Your fat cells are produced during your childhood and your teens and then production of fat cells ceases, so you have a certain number of fat cells for life. If you put on, or loose weight, your fat cells expand and contract, but no more fat cells are produced. So when fat cells are removed through Liposculpture they cannot and will not grow back. With permanent results, minimal pain and minimal down-time Liposculpture is a fantastic procedure for mothers (or any woman in fact) who needs a little extra help getting her body back into shape. This type of procedure is not just about vanity, it’s about boosting self esteem, and ageing with confidence. Dr Meaghan Heckenberg is an industry leader at performing Liposculpture in Australia. Dr. Heckenberg is based in Sydney and is renowned for her liposcultpure expertise. She treats people of all ages from their 20’s right up to their 70’s. To contact Dr Meaghan click HERE. 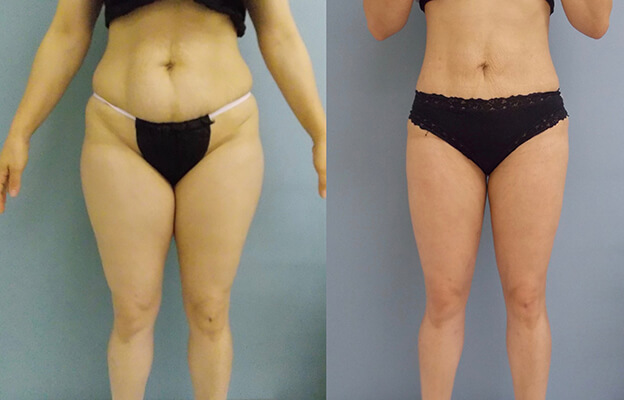 Above: Examples of Liposculpture performed by Dr meaghan Heckenberg. Just how CAN you shake those extra kilos? ©2018 Be Sculptured // Designed by Eleven Eleven Design.